Tell me little about Pretty On Paper.Pretty On Paper is a creative outlet for me. I make note cards, greeting cards, art prints, watercolors, save-the-dates, and custom orders. I love nature and the outdoors, so in college I started painting things on the side and it turned into this. It started small and now I get to make stuff that people buy. I always try to incorporate as much paint as possible. How was Pretty On Paper started? It started out as a hobby junior year of college. At first I just made note cards for friends for fun. I was later encouraged by my friends to start selling my art on Etsy. Then, I spread out to Instagram, and it has taken over from there. My goal is to be able to do this full-time someday. I am from San Diego, and I have a huge love for the ocean. I love flowers, nature, and the outdoors. I get lots of dog requests, which I love to paint. I honestly love anything happy. I try to keep everything light, airy, and positive. What is your favorite part about creating art that people can buy? I love meeting new people. I enjoy being able to take what people want (most of the time they don’t even know what they want), and giving them options to choose from. I really like the back-and-forth communication until we achieve the final product. I love the end result, making the perfect design, and making people happy. Forming relationships is the best. Well, I usually just start by painting. Lately, my favorite thing to do is art printing. It started out with a fox, and I have just started creating new art prints from there. Art prints are fun and the next step for me. 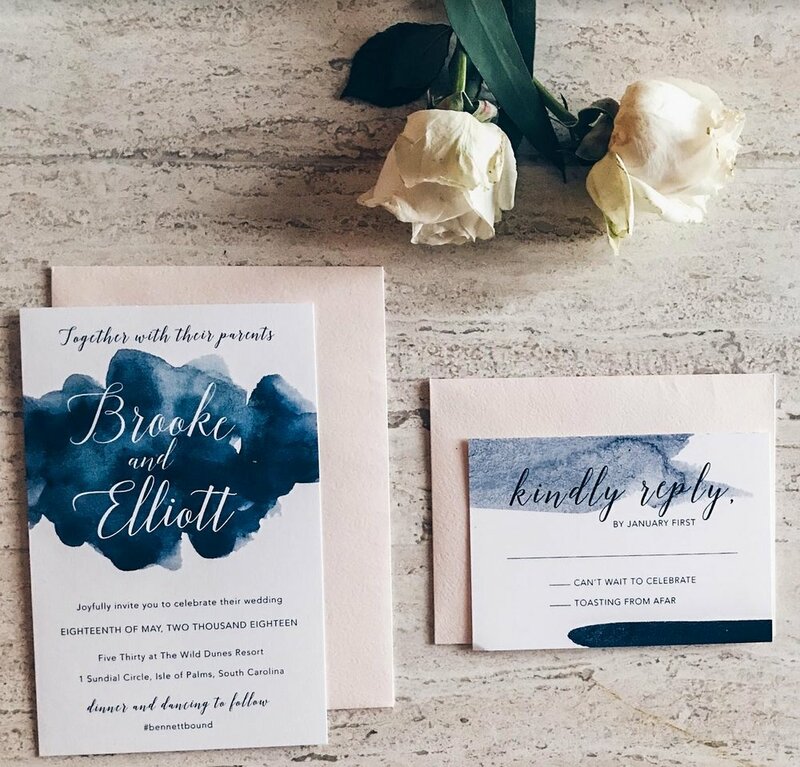 What can we expect from Pretty On Paper at Pop-Up? I’ll have a lot of Christmas stuff (ha!). I will have note cards, greeting cards, a couple of sample art prints (not sure if they’re going to be for sale yet), and Christmas gift tags. If I don’t sell the art prints, I will give my contact information for how to get in touch with me to have one customized. I will have a lot of sample art of stuff I’ve done in the past as well. Everything! I love doing pop-ups, since I haven’t done a lot before. I love to talk to people in person instead of over email. I am also excited to see what other people bring. I love getting new ideas from others. I am just excited to be included! Come visit AJ at Buttoned Pop-Up on November 10 at Pinewood Roasters, and check out Pretty on Paper on Instagram @_prettyonpaper_ and Etsy!